Noted pastors and teachers Luke Powery and Andy Dearman will lead the 35th annual Whitworth Institute of Ministry July 12-16 on the Whitworth campus, in north Spokane. WIM provides clergy, laity, and their spouses and children with a week of spiritual encouragement, equipping for ministry, and inspiring worship. Throughout the week, Powery and Dearman will lead worship services, Bible hours and workshops. Other workshop leaders will include Whitworth theology and music faculty members and one of the university's counselors. The public is invited to attend the institute's worship services Monday-Thursday at 7 p.m. in Seeley Mudd Chapel. President Bill Robinson will speak at the concluding worship service on Friday, July 16, at 10:30 a.m., in the chapel. Admission to the services is free. Pre-registration and payment are required for those who wish to participate in other WIM programming, including Bible hours, convocation hour and afternoon workshops. For complete WIM details, a schedule of events, and to register, please contact the WIM program coordinator at (509) 777-4345 or visit www.whitworth.edu/wim. During Whitworth's weeklong institute, youth programs will be available for children of participants. Art, music and recreational activities are planned for all age groups, including a teen program for junior- and senior-high youth. Trained caregivers will be present to care for infants and toddlers. Accommodations in residence halls and on-campus dining services will be available for Institute of Ministry participants. 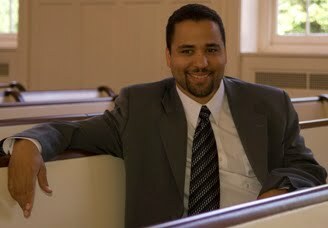 Luke Powery holds degrees from Stanford University (vocal performance), Princeton Theological Seminary (M.Div. ), and the University of Toronto (Ph.D.) He is passionate about the integration of preaching with worship, performance studies, and culture, particularly in expressions of the African diaspora. Powery is widely published and is a renowned preacher. In 2008, The African American Pulpit named him as one of the "20 to Watch," an honor given to 20 outstanding young African American ministers under the age of 40 who are helping to shape the future direction of the African American Church. Powery has served churches in Switzerland, Canada, and the U.S. His preaching style integrates his theological, homiletical, and musical gifts. He has recorded musical forms as diverse as Christian hip-hop and children's nursery rhymes. Andy Dearman is the director of Fuller Theological Seminary's regional campus in Houston, Texas, where he also is associate dean and professor of Old Testament. Dearman holds degrees from the University of North Carolina (B.A. ), Princeton Theological Seminary (M.Div. ), and Emory University (Ph.D.). In November 2008, he was awarded an honorary doctorate from Debrecen Reformed University, in Hungary. Dearman has served on the faculty at Louisiana State University and Austin Presbyterian Seminary. He also is widely published, and is familiar with global theological education through his teaching experiences in South Africa, Zambia, Hungary, China, and the Middle East. He is passionate about the integration of Old Testament studies with the life of the church. Dearman has served as a theologian in residence for congregations in Austin and Dallas, Texas, and in Vero Beach, Fla.
Toni Sutherland, program coordinator, Whitworth Institute of Ministry, Whitworth University, (509) 777-4345 or tsutherland@whitworth.edu.